I encountered this amorphous blob this morning during my ocean swim this morning. 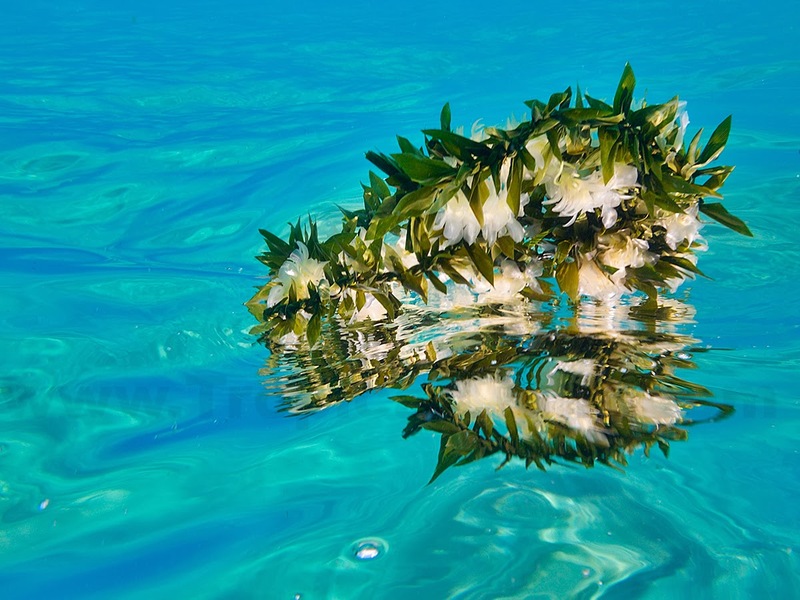 Closer examination revealed floral and ti leaf leis tangled together floating on the surface. Visitors to Maui are told that throwing leis into the ocean upon departure will ensure their return to the island. They also need to be told to cut and remove the strings first to prevent entrapment of sea life in the leis. Not to worry, these leis were fished out of the ocean to safeguard our critters. 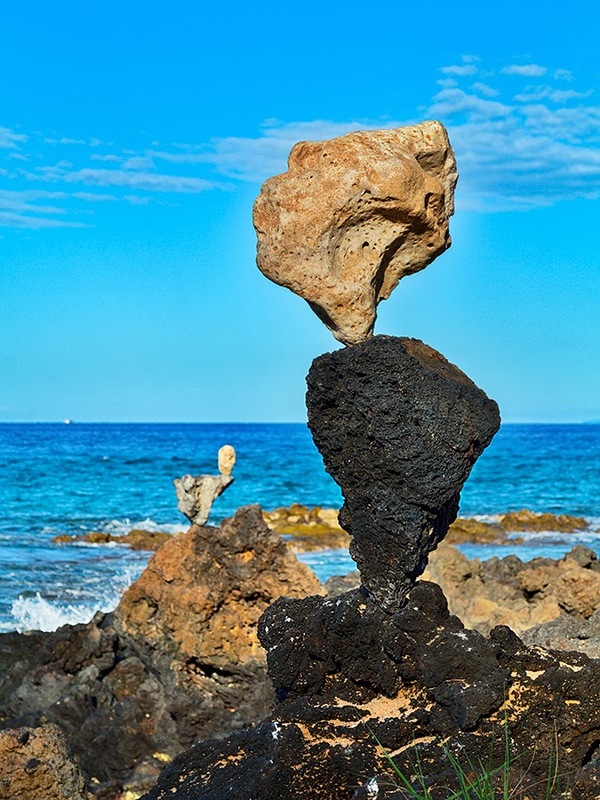 A rock balancer was back at work recently. There were only two rocks in each stack, but even that is quite impressive to me.